Meets high security standards by deploying anti-virus protection for Personal Data Information Systems (PDIS) up to the class I level of security, for Geographic Information System (GIS) up to the class I level of security, for data-processing systems containing state secrets, and for Critical Information Infrastructure organisations up to the highest category. Compliance with the highest security standards – the product is certified by the FSB and the Federal Service for Technological and Export Control, and has FSTEC Russia and FSB Russia certificates of compliance. A wide range of installation and configuration options are available, meeting the requirements of almost any company. High-speed scanning combined with low consumption of system resources allows Dr.Web to run smoothly on any server hardware. The built-in anti-spam requires no training, lowers the server workload, and improves employee productivity. Filtering based on blacklists and whitelists allows specified addresses to be excluded from scanning and efficiency to be increased. File filtering according to file type, resulting in less traffic. Grouping allows different filtering parameters to be specified for different groups of employees, which contributes to faster deployment and easier maintenance. The browser-based administrator web console makes it easy for users to configure the anti-virus. High operational performance and stability are achieved with multi-threaded scanning. Detection and neutralisation of unknown packers and viruses. Automatic launch on system startup. Easy-to-use updating system with the help of Windows Task Scheduler. the mail-filtering system’s overall stability improves. 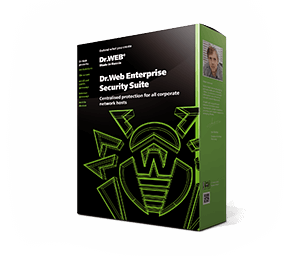 The cost of an SMTP proxy license is only 10% of the cost of a Dr.Web MSS license. 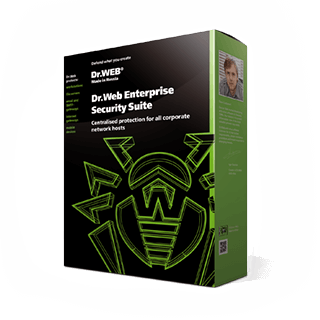 Dr.Web anti-spam is delivered as part of a single solution (not as a separate product) and is installed with a virus-filtering product on the same server. This simplifies administration and ensures that overall costs are lower than they would be if buying our competitors' solutions. Requires no training. Starts protecting as soon as it is installed. Successfully identifies spam messages in any language. Actions can be customised for different categories of spam. Record-low number of false positives. Requires updating only once a day. Uses its own blacklists and whitelists. This makes it impossible for anyone to discredit companies by deliberately adding them to lists of unwanted addresses. Product system requirements can be found in the documentation.